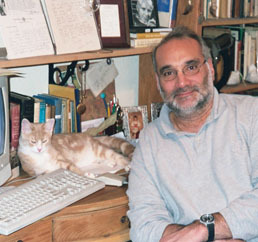 Is a writer of fiction and drama, and verse as well a scholar of modern British and American literature with numerous books and articles of literary criticism, literary philosophy, literary biography, and literary history. He is an expert in the years between the wars, 1919-1940, where he also dabbles in radicals. The historic election of Barack Obama to the presidency of the United States had a significant impact on both America and the world at large. By voting an African American into the highest office, those who elected Obama did not necessarily look past race, but rather didn’t let race prevent them for casting their ballots in his favor. In addition to reflecting the changing political climate, Obama’s presidency also spurred a cultural shift, notably in music, television, and film. 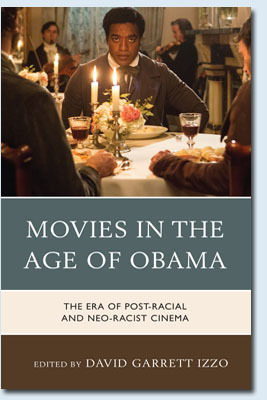 In Movies in the Age of Obama: The Era of Post-Racial and Neo-Racist Cinema, David Garrett Izzo presents a varied collection of essays that examine films produced since the 2008 election. The contributors to these essays comment on a number of films in which race and “otherness” are pivotal elements. In addition to discussing such films as Beasts of the Southern Wild, Black Dynamite, The Blind Side, The Butler, Django Unchained, The Help, and Invictus, this collection also includes essays that probe racial elements in The Great Gatsby, The Hunger Games, and The Mist. The volume concludes with several essays that examine the 2013 Academy Award winner for best picture, 12 Years a Slave. Though Obama’s election may have been the main impetus for a “new wave of Black films,” this development is a bit more complicated. Moviemakers have long responded to the changing times, so it is inevitable that the Obama presidency would spark an increase in films that comment, either subtly or overtly, on the current cultural climate. By looking at the issue these films address, Movies in the Age of Obama will be of value to film scholars, of course, but also to those interested in other disciplines, including history, politics, and cultural studies. 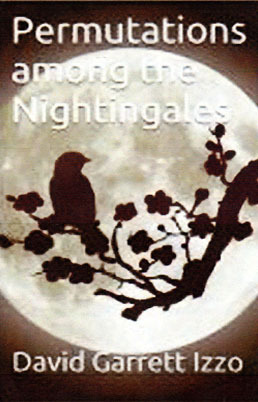 With remarkable elan, David Garrett Izzo unfolds the secret origami of our minds and constitutions in his new book, Permutations among the Nightingales. It’s a fierce collection of philosophical raps, tributes to culture heroes, and the naked autobiography of a man to whom life has given both great pain and great pleasure. Reading Izzo’s poems, you wind up in unexpected places, for he is one of the great secrets of American literature. 1992: The story centers on high school students and a beloved teacher, Mr. Navarre, a skilled martial artist, who has a mysterious past that was taken away from him by amnesia following an explosion that was an attempted murder but did kill the woman he loved. His past haunts his present and the dangerous enemies he faced years before will return to threaten him and his students Within the forgotten memories was a time as a teenager who, after the traumatic sudden death of his mother believed he was someone else to forget his grief and protect his working class Queens, NY neighborhood from thugs. 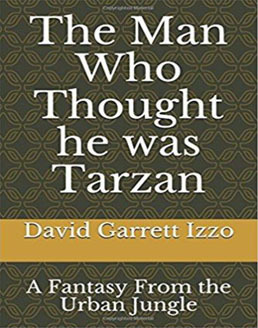 Now in his adult present three of his students are kidnapped by an old foe; he knows he must save them but this will require that his memory comes back so that he becomes once again The Man Who Thought He was Tarzan. This novella is a tribute to traditional heroes, loyal friendships, close knit neighborhoods, and the virtues of honor, justice and courage for those readers who are young and the still young-at-heart who love comic book characters that are all too human and not just invincible. Today they are represented on TV with the Flash and The Green Arrow and movies like Spiderman and the Batman Trilogy. The story thrives on the details of the writer's experiences as an English teacher and his realistic depiction of students is based on this. Mystery/thriller in and out of academia combining suspense and Wonder Boys wry humor. The first is the petty academic intrigue surrounding the bitter conflict of professors and an older PhD student that has published more than they have. The envy/jealousy quotient is high, nasty, vindictive and cruel. This line is told with both satirical and sarcastic humor but an unerring reality. The second mystery is academic intellectual theft by two married professors that have gained their reputations by the husband stealing a theory of physics that is used by the military for a top-secret weapons project and the wife stealing a manuscript of poems. This duo has gone to extreme measures to attain the work and keep the secret of their theft hidden. There is the plan of revenge against these married thieves by relatives of their victims. Being sexually dominated by the couple is a high price paid by one of the relatives, a beautiful young woman. The last line is the undercover efforts of an FBI special unit and the Israeli secret police to uncover the plot and prevent mass murder. Early 2011 from McFarland Publishing. I was always trying to shoot for the moon. I had some lofty ideas about using my own music, to give people something to think about--to think about the world, and what's right and wrong. I'd been affected that way by records, and I wanted my own music and writing to extend themselves in that way. A Play: "Aldous Huxley: This Timeless Moment"
"To The Truly Strong Man (and Woman)"
Poems: "Deep Curl" and "Hummingbird: Visitation from a Famous Author." Luvah Volume 1, No. 3 (2012): November. Luvah: Journal of the Creative Imagination, "Thornton Wilder and Mysticism: an Exegesis of his Early Plays"
"Teaching the Introduction to Literature Course," Teaching American Literature: A Journal of Theory and Practice. Review Board: Diesis: Footnotes on Literary Identities. Sylvia Lyons Render Award of the Charles Chesnutt Association for the book Charles Chesnutt Reappraised, presented at The American Literature Association Conference Boston, May 26. Raleigh Little Theater, North Carolina, discussed Thornton Wilder's Our Town after the perfromance. Christianity and the Detective Story-Christianity and Literature Conference, Pace University, NYC. Paper: "W.H. Auden's 'The Guilty Vicarage.'" 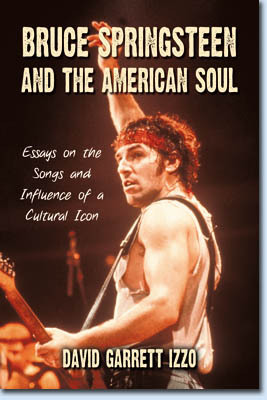 Glory Days: A Bruce Springsteen Symposium, Monmouth University, New Jersey, "Bruce Springsteen Live: Transcendental Celebration." International Virginia Woolf Conference, Fordham University at Lincoln Center, Panel Chair: "Woolf and the City." Conference on Consciousness, Literature, and the Performing Arts, Lincoln University, England, 1. "Mysticism as a Literary Theory"; 2. "Reading from Maximus in Catland, a Mystical Novella"
A Tribute to Laura Huxley, Los Angeles Philosophical Society. Thornton Wilder in the 21st Century, College of New Jersey, "Wilder's Cosmology"
Aldous Huxley International Symposium, Huntington Library, San Marino CA, "Aldous Huxley's Time Must Have a Stop: A Mastery of Mysticism. Thomas Paine's Legacy - Three Centuries of Revolution in Philadelphia: Lecture on activist Scott Nearing, a leading social activist before World War II. Lectured on Thornton Wilder at the conclusion of the play The Matchmaker. Speaker in the Fiction Writers Series, Barton College, Wilson. NC. MLA Annual Conference - "Schopenhauer and Iris Murdoch"
One of the best known and most widely read of early African American writers, Charles W. Chesnutt published more than fifty short stories, six novels, two plays, a biography of Frederick Douglass, and countless essays, poems, letters, journals, and speeches. Though he had light skin and was of mixed race, Chesnutt self-identified as a black man, and his writing was often boldly political, openly addressing problems of racial identity and injustice in the late 19th century. 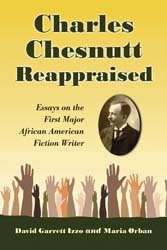 This collection of critical essays reevaluates the Chesnutt legacy, introducing new scholarship reflective of the many facets of his fiction, especially his sophisticated narrative strategies. Aldous Huxley’s prophetic novel of ideas warned of a terrible future then 600 years away. Though Brave New World was published less than a century ago in 1932, many elements of the novel’s dystopic future now seem an eerily familiar part of life in the 21st century. Review from Choice, April, 09: Brave New World remains Huxley's best-known and most influential work, and the essays in this collection take a variety of approaches-literary, political, psychological, philosophical, social, economic, aesthetic-to Huxley's famous dystopia. George Orwell's 1984 figures in several essays. In sum, the varied perspectives in this interesting, accessible collection provide a useful picture of Huxley and his vision of a possible future. Summing up: Recommended. H. Benoist. This volume discusses the relationships between the philosophy of Mysticism, which traces its lineage back into prehistory, with that of the world of more traditional philosophy and literature. The author argues for the centrality of mysticism’s role in the philosophical and artistic development of western culture. The connections between these worlds are underscored as the author examines the works of Heraclitus, Schopenhauer, Nietzsche, Iris Murdoch, Yeats, AE George Russell, T.S. Eliot, Joyce, Woolf, Auden, Huxley, Lessing, Gabriel Garcia Marquez, and Tony Kushner, among others. 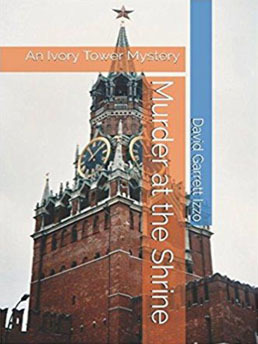 To order any of David's other books, click on the links below.